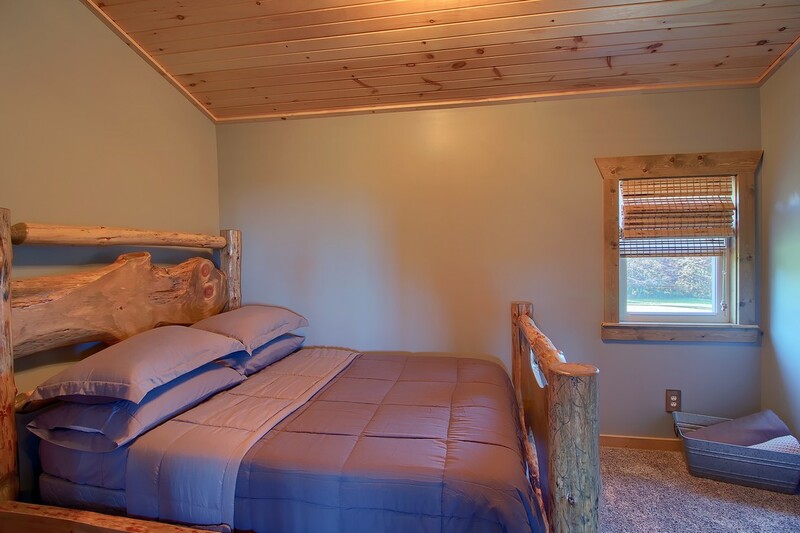 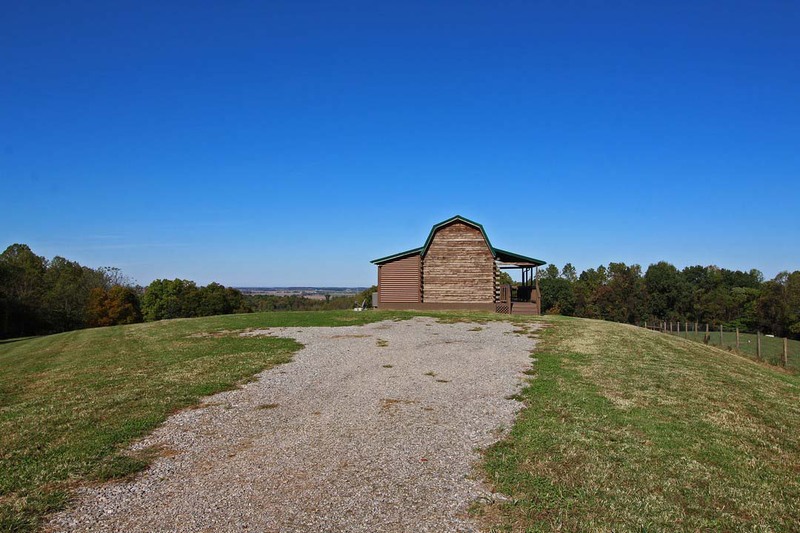 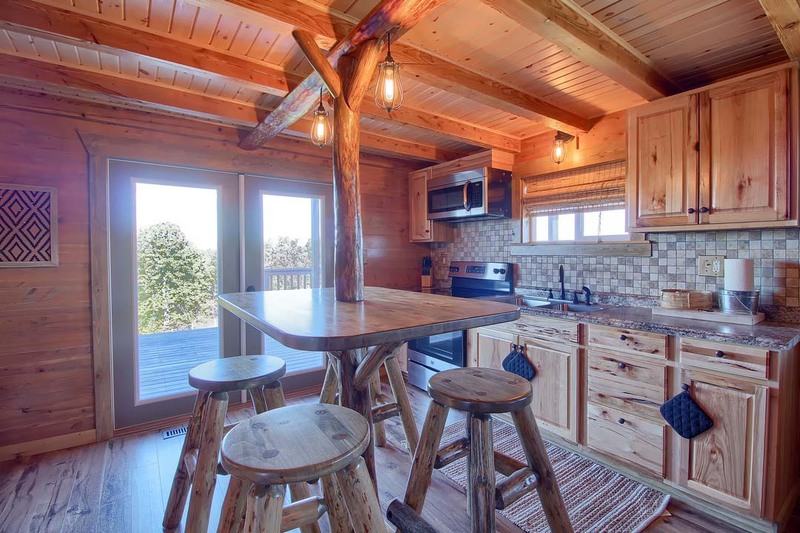 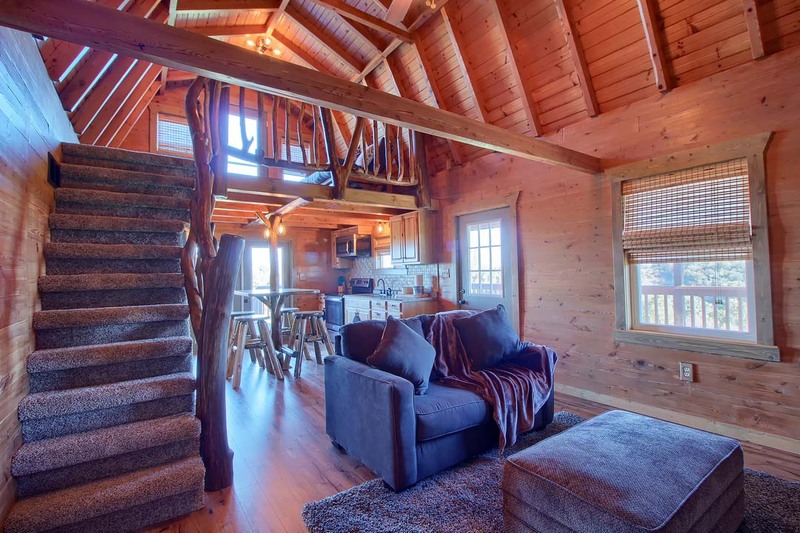 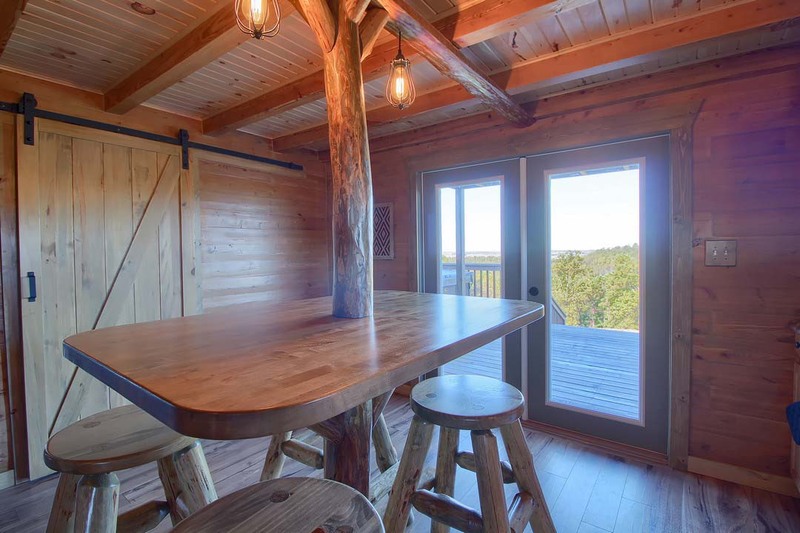 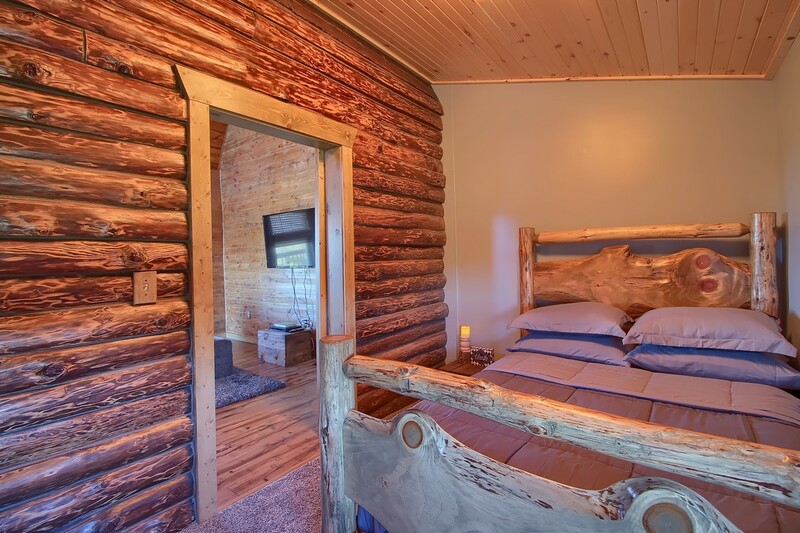 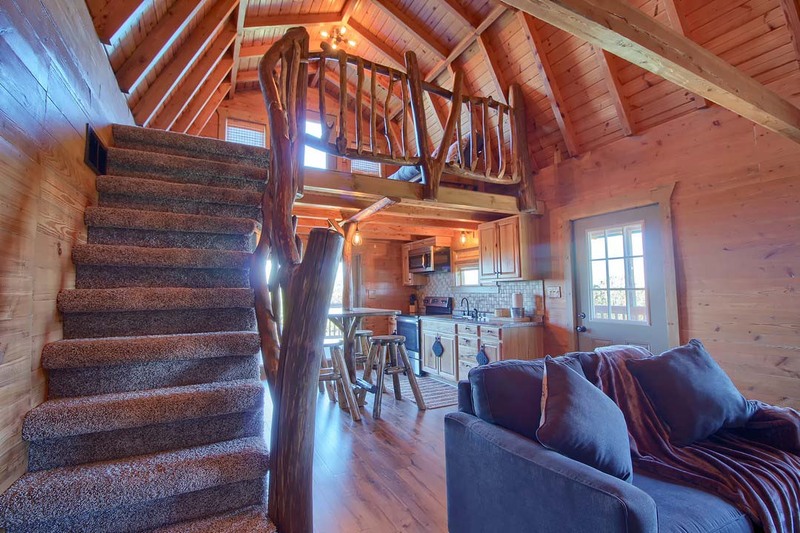 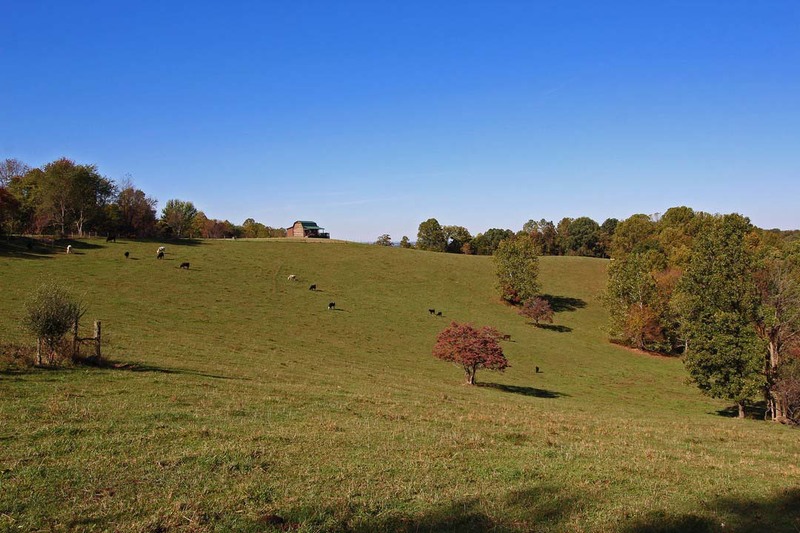 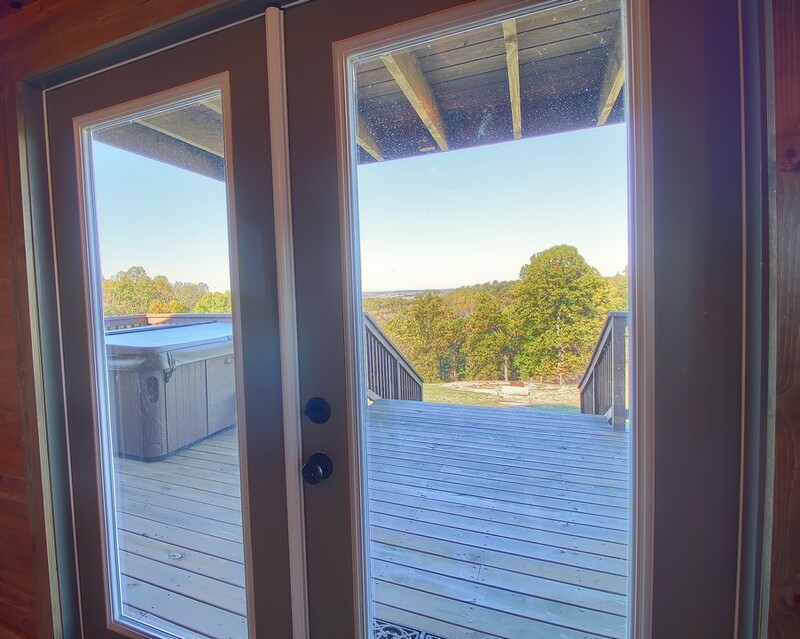 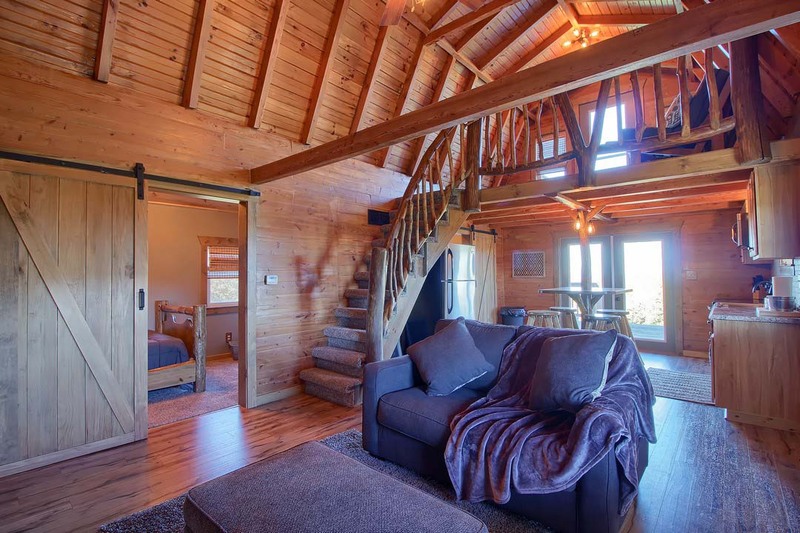 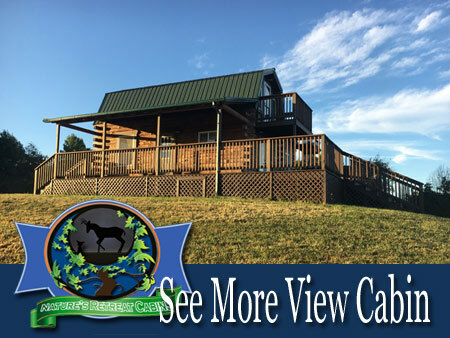 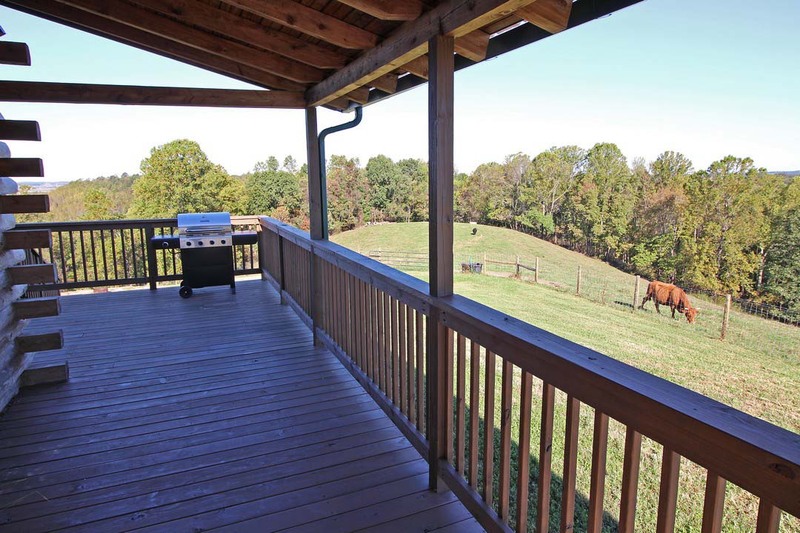 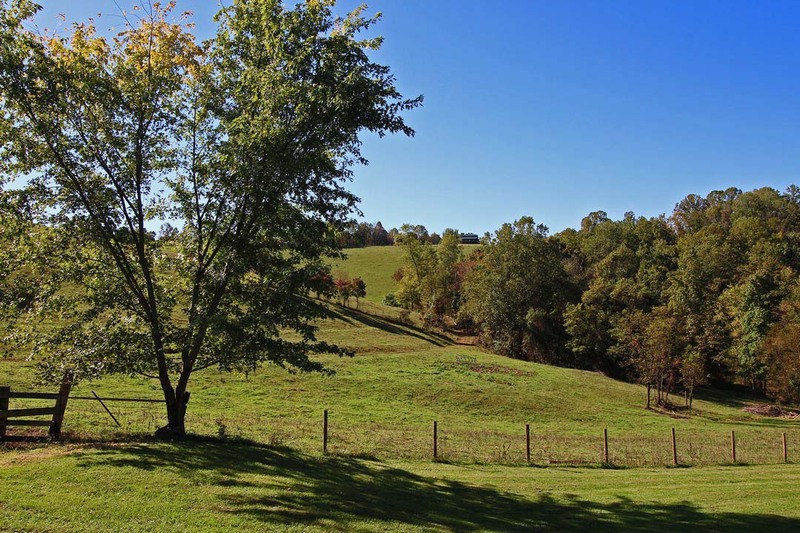 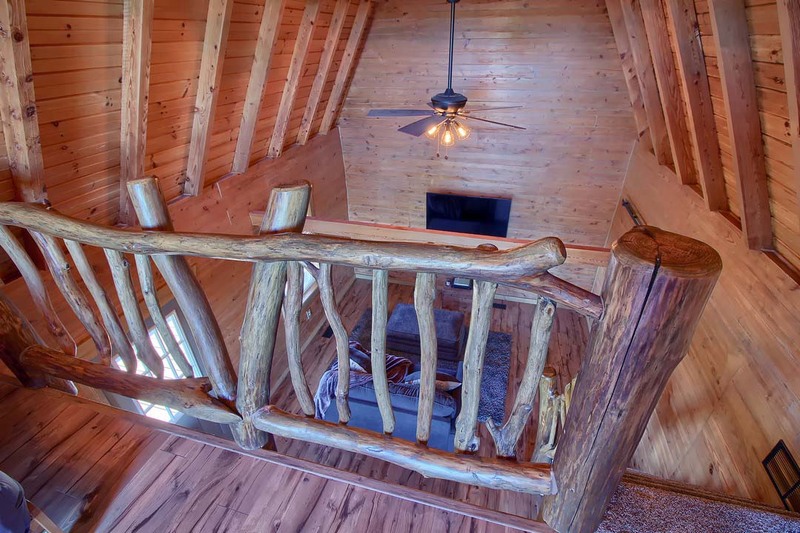 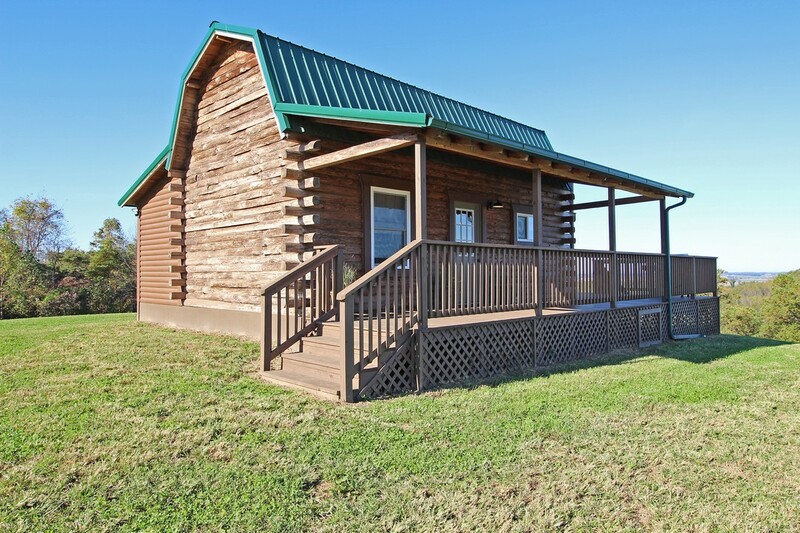 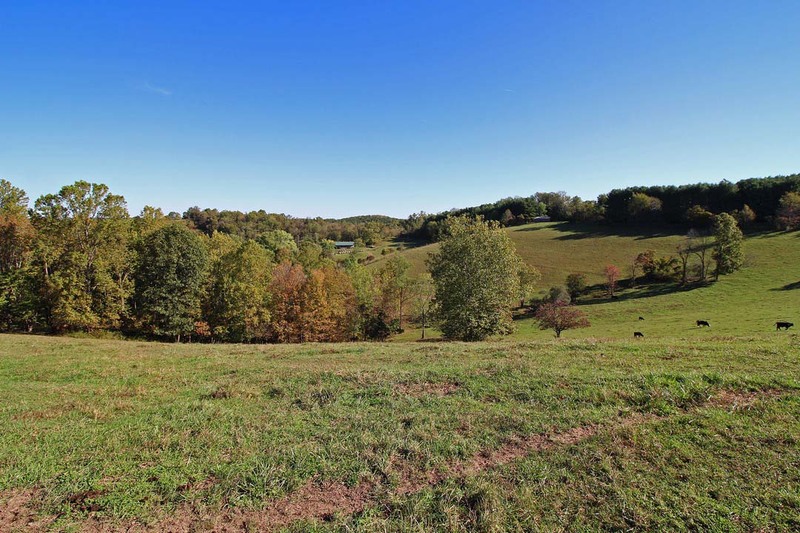 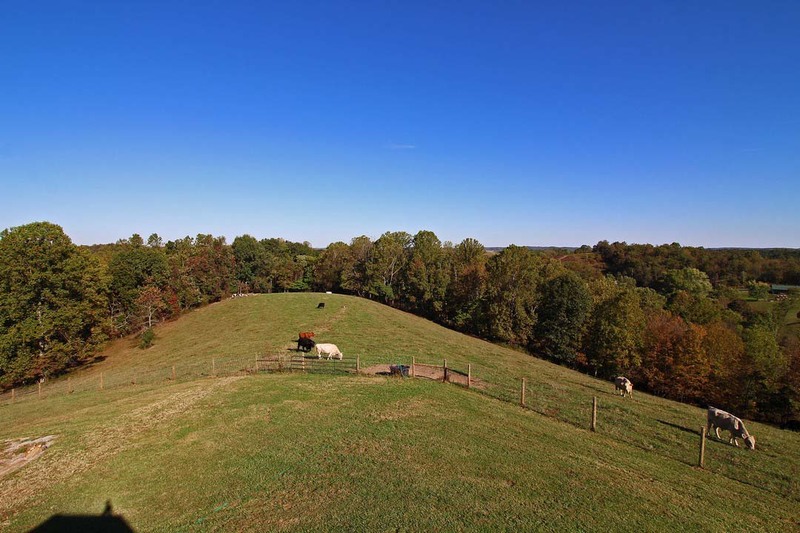 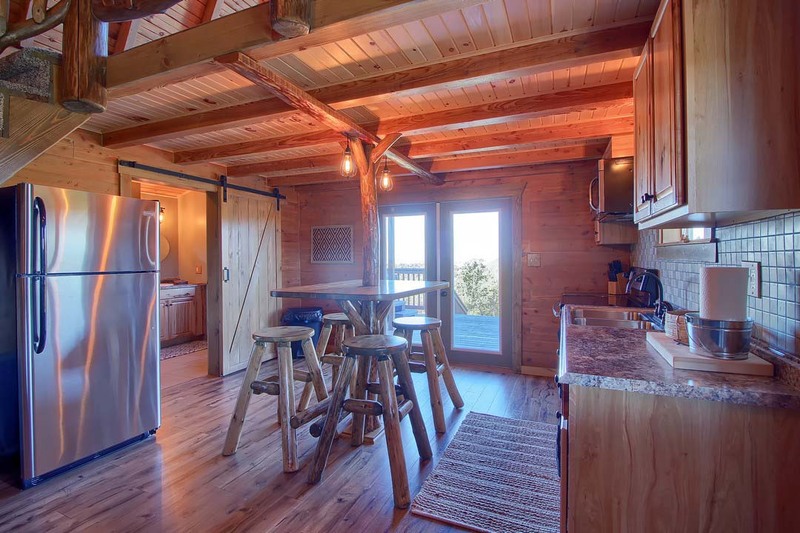 See More View Cabin sits atop a 40 acre farm with gorgeous panoramic views. 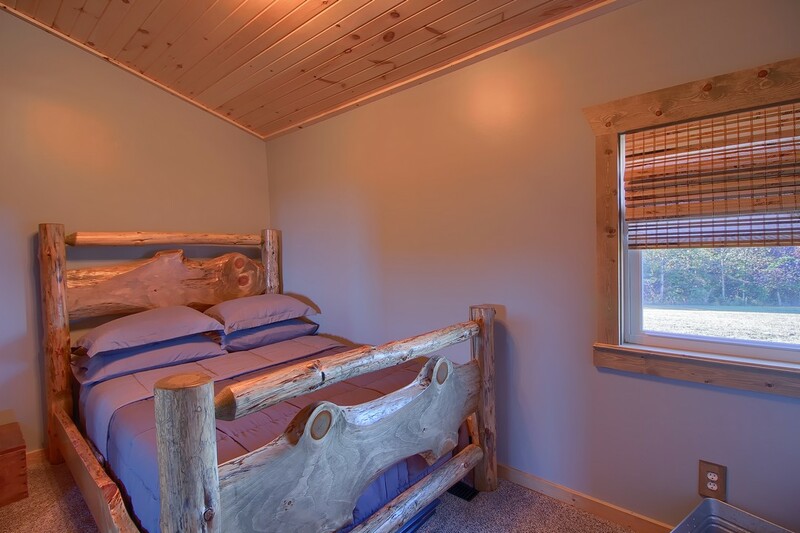 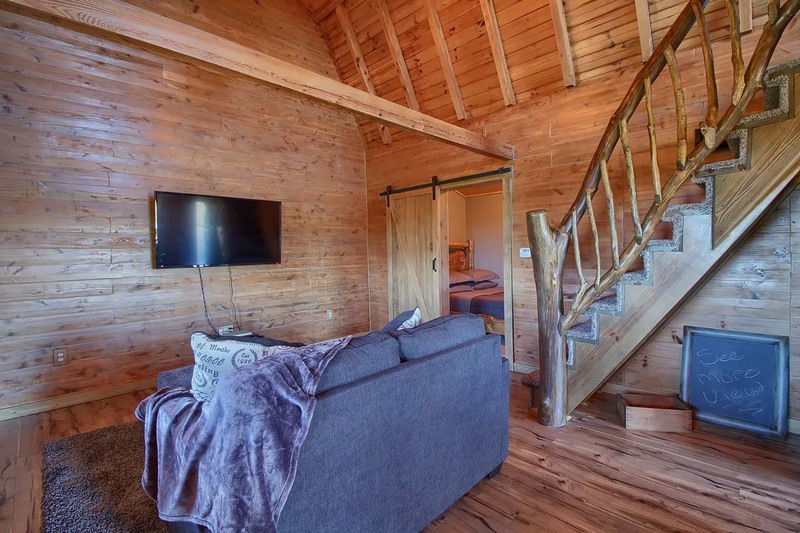 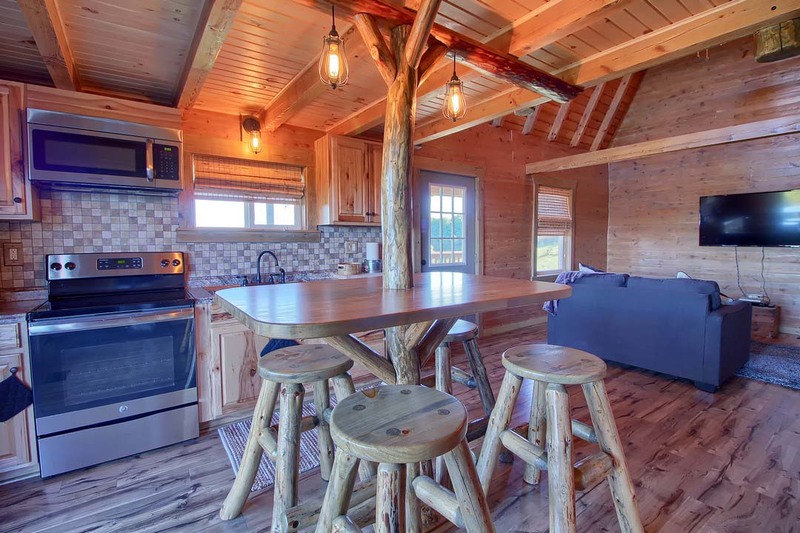 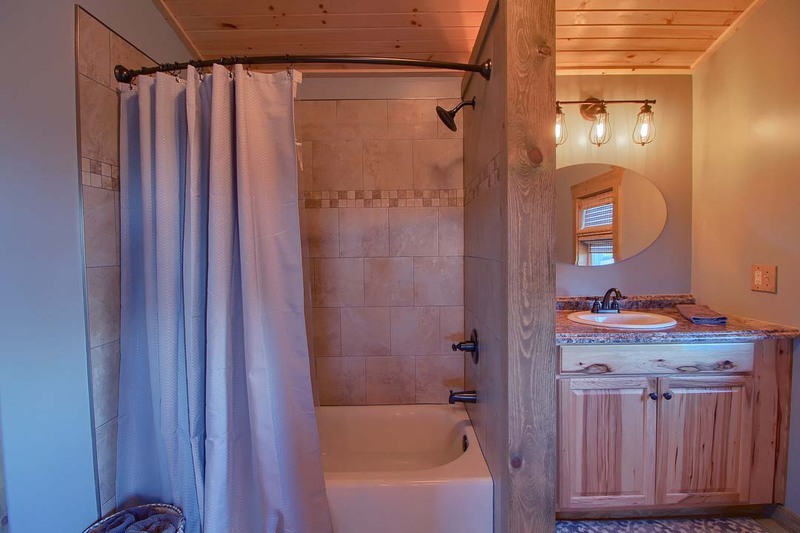 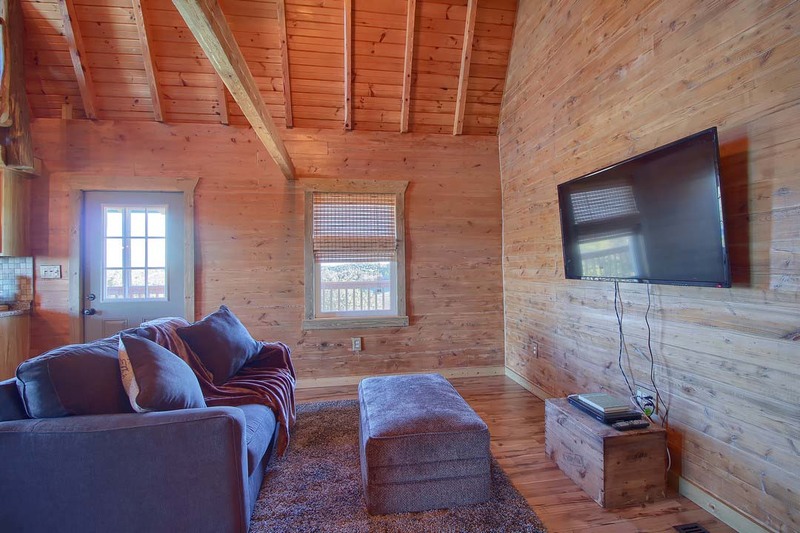 This newly remodeled 1 bedroom cabin has a cozy loft with futon, fully-stocked kitchen, full bath and nice open floor plan with large tv/Directv. 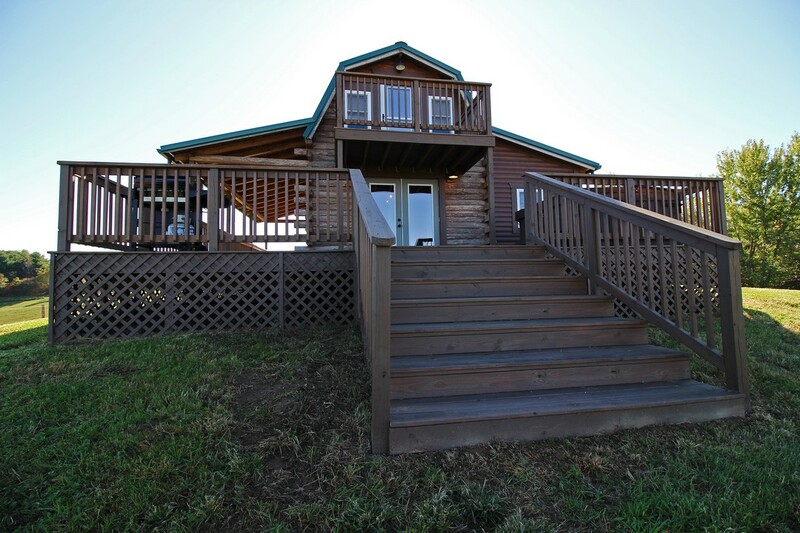 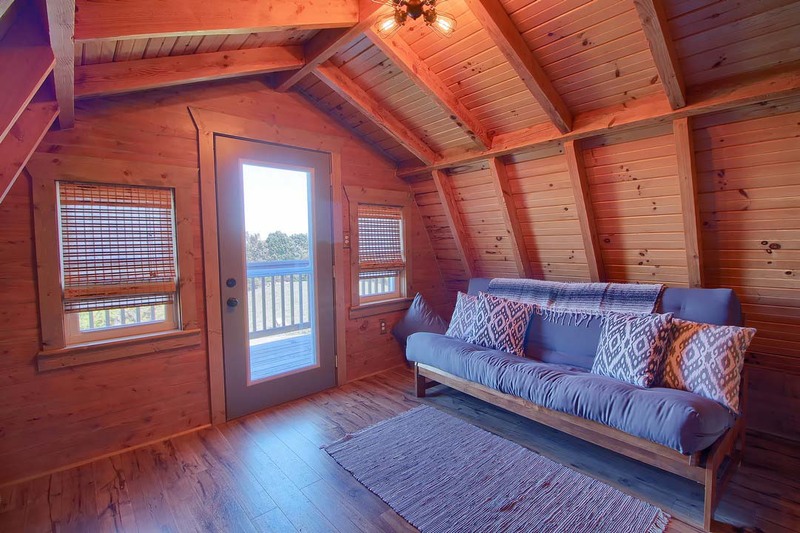 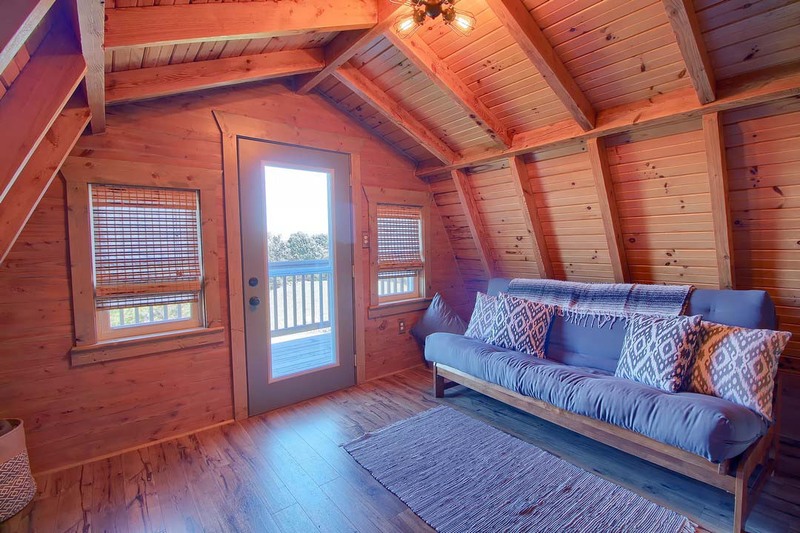 Cabin also features a porch, large deck and balcony with amazing hilltop views. 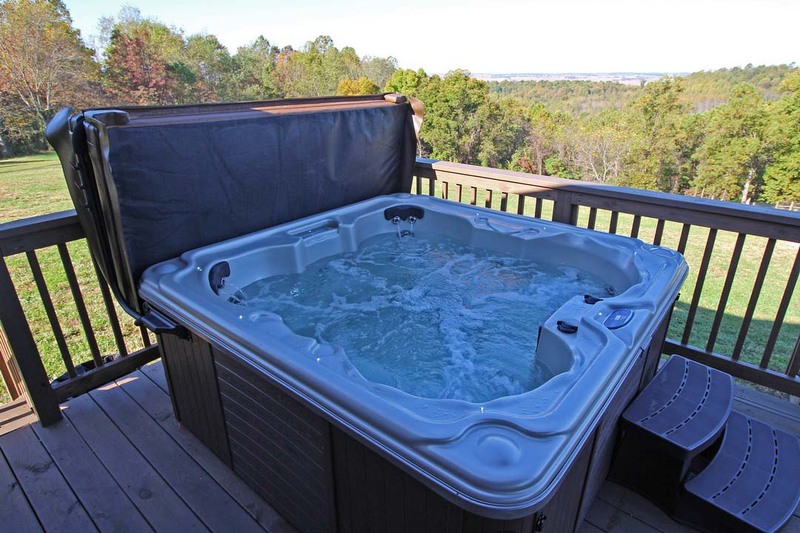 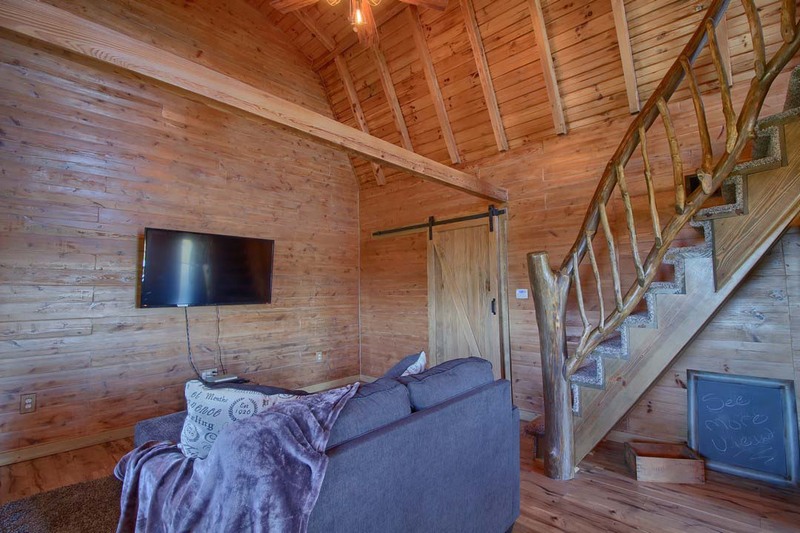 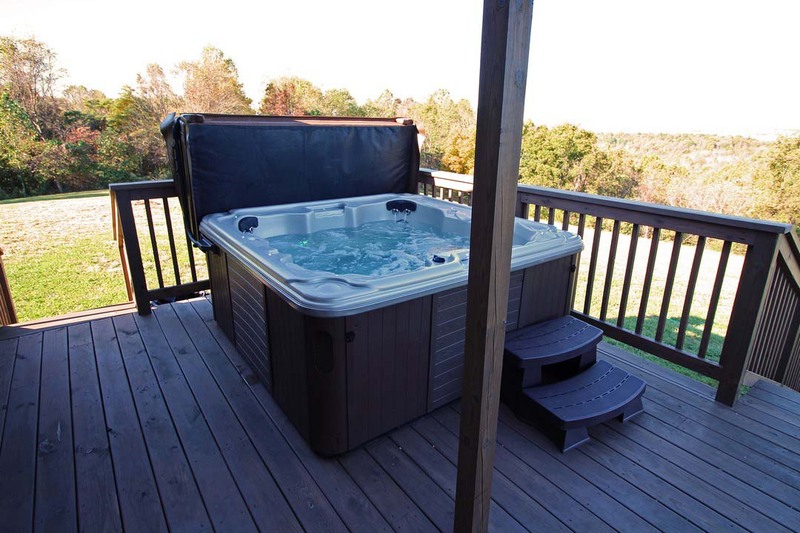 Look out over miles of countryside while relaxing in the hot tub or roasting marshmallows over the fire.